The Arizona Valley Alumni Chapter today received the highest honor for a Delta Chi alumni chapter by winning the 2017 Chicago Cup. 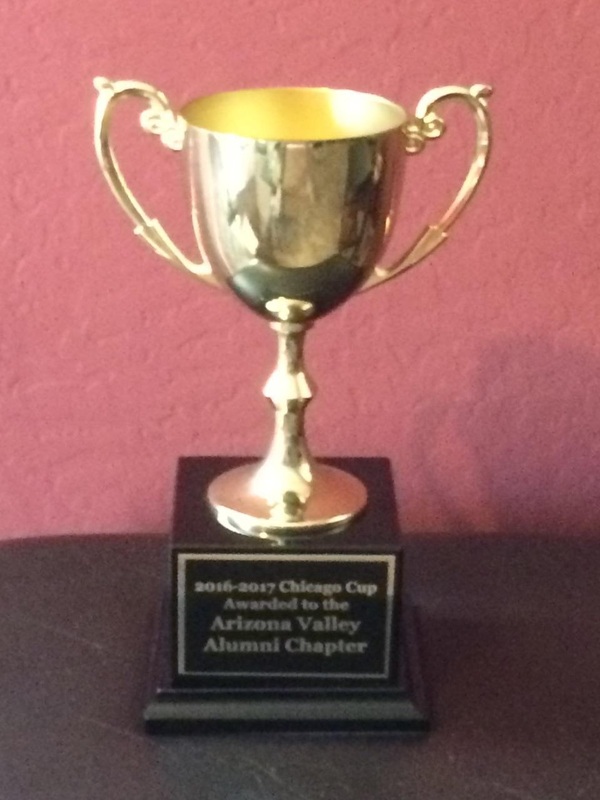 The Chicago Cup recognizes one Delta Chi alumni chapter each year for excellence in programming, communication and meeting the needs of its members. It was named for the first alumni chapter chartered back in 1902, and this is the first time it’s been won by the Arizona Valley Chapter. This award recognizes the hard work implemented in 2016 by the Arizona Valley Alumni Chapter to send out regular correspondence to alumni living in Arizona, host brotherhood and community service events, raise money for Delta Chi charities and give back to the undergraduate chapters located in Arizona. The 2018 Chicago Cup will be awarded at the Delta Chi International Convention, which will take place August 1-5, 2018 in Denver.